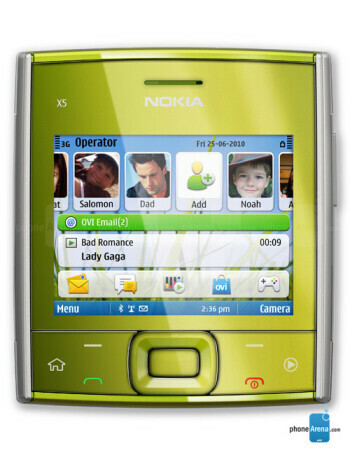 This version of Nokia X5-01 supports 3G bands suitable for use in South and North America. 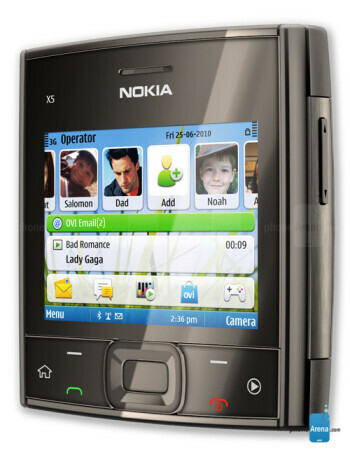 It is a Symbian smartphone with square-like design comming to fill the gap between the Nokia X3 and Nokia X6. 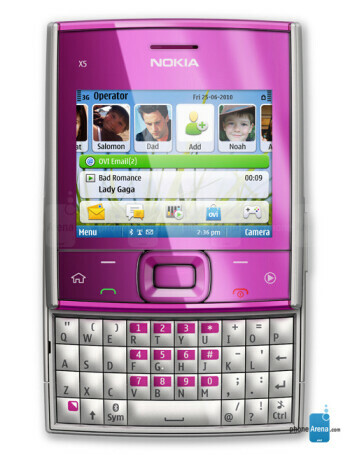 The device has a QWERTY keyboard and supports the major IM and webmail services. 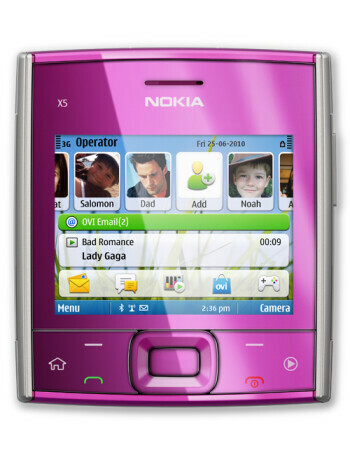 It also offers access to major social networking sites (Facebook, Twitter, MySpace and Hi5). The camera is 5MP with LED flash. It has a 200MB of internal memory and a microSDHC card slot.